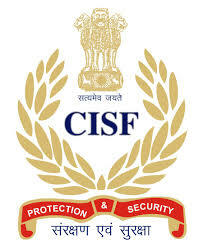 CISF Jobs Recruitment 2019 for Head Constable Posts: Central Industrial Security Force has advertised a notification for the recruitment of Head Constable – 429 vacancies. Candidates are Interested in the Vacancies details and passed 5th, 8th, 10th, 12th, ITI Pass, Graduate, PG, Degree/ Diploma Examination. Candidate may Apply Online from 21-01-2019 to 20-02-2019 at 05:00 PM Hrs on wards. Qualified in Intermediate/ Senior Secondary School certificate (10+2) exam from recognized board/ university or equivalent. Candidates age limit is 18 to 25 years as on 20-02-2019. Age relaxation is as per Govt rules. Applicant have to pay Rs.100/- for GEN/ OBC category. No fees SC/ ST/ Women/ Ex.Serviceman. Through online by Net Banking, Credit Card, Debit Card. Interested candidates can Apply Online Application forms by visiting the website “www.cisf.gov.in” from 21-01-2019 to 20-02-2019 at 05:00 PM Hrs on wards. Online Application Begin: 21-01-2019 at 10:00 AM Hrs. Last Date for Applications: 20-02-2019 at 05:00 PM Hrs.